In the past decades, the scope of trademark protection has relentlessly expanded and has reached product configurations, product designs, and a variety of other product characteristics. As a result, a growing list of product features - including colours, shapes, smells, gestures, and even video clips - can be protected today as trademarks based on the assertion that these features constitute signs that are capable of distinguishing products in the marketplace and thus qualify as trademarks under the law. Certainly, the possibility to protect these marks, which are frequently referred to as non-traditional marks, has been cheered by trademark owners and those operating in trademark intensive industries. However, it has also raised many criticism, particularly by academics and courts and, recently also by patent and trademark offices in several countries. In her presentation, Professor Calboli will address the current legal protection of non-traditional trademarks in the United States, Singapore and in selected other jurisdictions. Notably, she will highlight the problems - for trademark owners, competitors, consumers, and the public interest- that can arise as a result of the protection of these marks. In particular, she will first elaborate on the legal developments, including the changes in the definition of what constitutes a trademark, which has allowed for the recognition and protection of these marks. She will then survey several controversial cases, which have been litigated in recent years. In this context, she will also note that some courts have resorted, or have considered resorting, to the doctrine of functionality, including aesthetic functionality, to counter the trend of expansive trademark protection. Professor Calboli will express support for this trend and elaborate that a robust doctrine of aesthetic functionality could offer an important balance between the expansion of trademark protection and a much needed limitation of the scope of protection of non-traditional trademarks. Professor Calboli is a Lee Kong Chian Fellow, Visiting Professor, and Deputy Director of the Applied Research Centre for Intellectual Assets and the Law in Asia, School of Law, Singapore Management University. She is also Professor of Law at Texas A&M University School of Law, and Fellow at the Transatlantic Technology Law Forum at Stanford Law School. Her scholarship focuses on trademarks, geographical indications, and the intersection between intellectual property and international trade. She is the author and editors of several books, law review articles, and peer review articles. Her most recent books include Diversity in Intellectual Property (2015, with S. Ragavan), The Law and Practice of Trademark Transactions (2016, with J. De Werra), and Research Handbook on Intellectual Property Exhaustion and Parallel Imports (2016, with E. Lee). Professor Calboli is an elected member of the American Law Institute and an associate member of the Singapore Academy of Law. 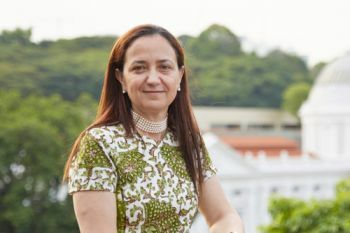 She currently serves as member of the Council of the International Law Association (Singapore Branch), Chair-Elect of the Art Law Section of the Association of American Law Schools, member of the Board of the European Policy for Intellectual Property Association, and member of the Legislation and Regulation Committee of the International Trademark Association.